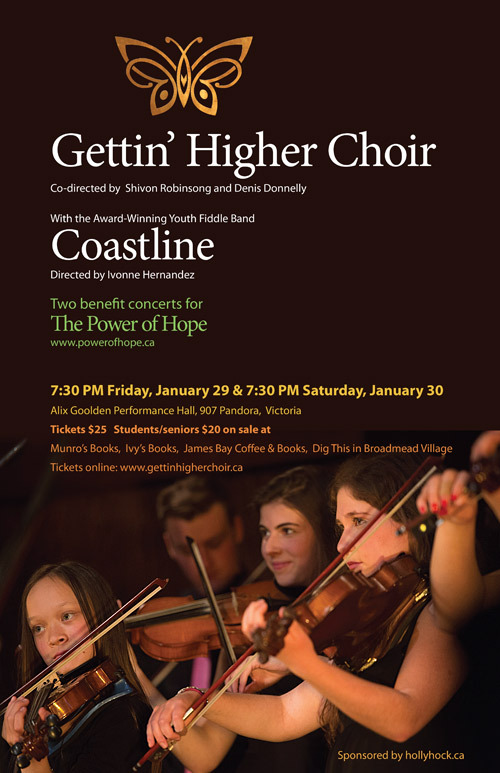 The next best thing to singing in a Gettin’ Higher Choir concert is to be in the audience for one. If you are in the audience for this one be sure to consider singing with us in the next one. Our next new singers intake nights will be on Feb. 15, 16, 18, 22, 23 & 25 for more information check any of those dates on our web site’s Calendar (www.gettinhigherchoir.ca/choir_life#calendar) or call me at 250-920-4160 (9 to 9 daily).